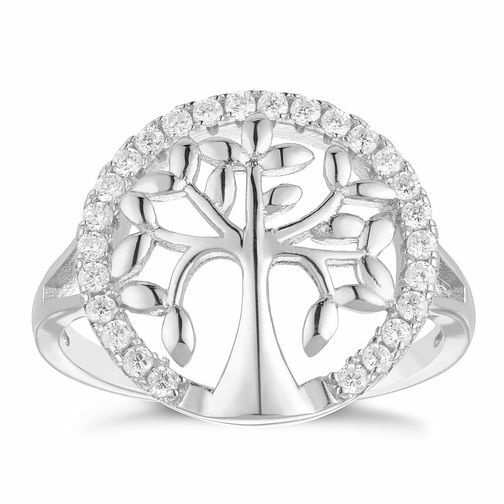 Show growth, your love for your family and a sense of maternity with this tree of life design ring. Styled in sterling silver with a circular surround of glistening cubic zirconia, this gorgeous ring is the perfect sentimental accessory that will compliment any look. Size L.